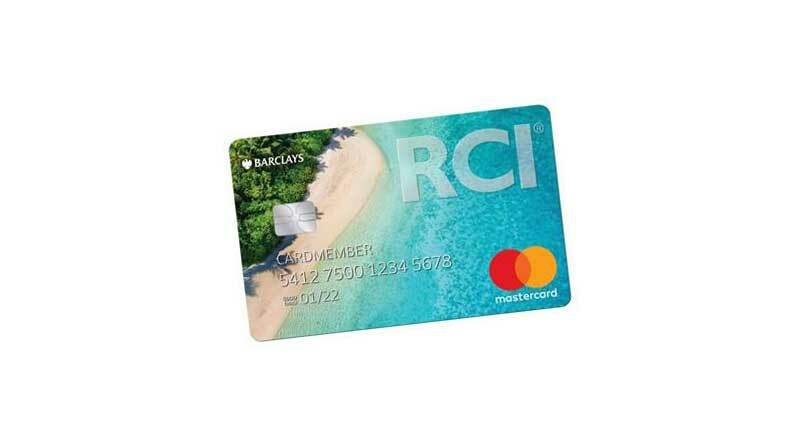 Barclays and RCI today announced enhanced program changes to the RCI Elite Rewards Mastercard, debuting a new travel rewards structure and more ways to redeem. New benefits of the RCI Elite Rewards Mastercard include 5X Rewards for every $1 spent on all eligible RCI purchases, 2X Rewards for every $1 spent on all eligible travel purchases and 1X Rewards for every $1 spent on all other purchases. Additionally, cardmembers can now redeem rewards for cash back to help pay for resort fees, airfare, hotels and more. In addition to the enriched earning structure, the RCI Elite Rewards Mastercard can put cardmembers one step ahead for their next travel experience. The “redeem and replenish” feature provides cardmembers 5 percent Rewards back to use towards their next redemption. Cardmembers can earn a $250 Vacation Credit towards one RCI® vacation after spending $10,000 in net purchases each calendar year. The new benefits and program changes go into effect today for current cardmembers. Cardmembers can view and redeem rewards and manage their account at BarclaysUS.com. To apply or learn more about the RCI Elite Rewards Mastercard visit RCI.com. Barclays US Consumer Bank is one of the fastest-growing top 10 credit card issuers and online banks in the United States. The bank creates customized, co-branded credit card programs for some of the country’s most successful travel, entertainment, retail and affinity institutions, and offers its own branded credit cards, online savings accounts and CDs, and personal loans. For more information, please visit www.BarclaysUS.com. Barclays is a transatlantic consumer and wholesale bank offering products and services across personal, corporate and investment banking, credit cards and wealth management, with a strong presence in our two home markets of the UK and the US. With over 325 years of history and expertise in banking, Barclays operates in over 40 countries and employs approximately 83,500 people. Barclays moves, lends, invests and protects money for customers and clients worldwide. For further information about Barclays, please visit www.barclays.com. RCI is the worldwide leader in vacation exchange, housing a unique portfolio of brands. RCI pioneered the concept of vacation exchange in 1974, offering members increased flexibility and versatility with their vacation ownership experience. Today, through the RCI Weeks® program, the week-for-week exchange system, and the RCI Points® program, the industry’s first global points-based exchange system, RCI offers its 3.8 million members access to more than 4,300 affiliated resorts in approximately 110 countries. RCI’s luxury exchange program, The Registry Collection® program,is the world’s largest program of its kind with approximately 200 affiliated properties either accessible for exchange or under development on six continents. RCI’s portfolio of brands also includes Love Home Swap, one of the world’s largest home exchange programs, DAE, a direct-to-member exchange company, and @Work International, a leading provider of property management systems. RCI is part of Wyndham Destinations (NYSE:WYND). For additional information visit our media center or rciaffiliates.com. RCI also can be found on Facebook, YouTube and Twitter.